\0/\0\0/ME>>>Artist Rep. EDM Producer/Dj ∞ a Ω α ω Always Looking 4 New Talent follow us so we can connect I follow back.. 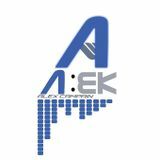 Inspired by life and all electronic dance music EDM, Dj/producer "All Elektronic Kool" AEK Alex Campain from San Diego California is always thinking of new ways to bring the house down with his upbeat underground DJ sets and original music mixes and productions. 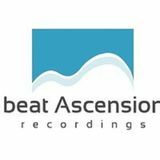 His productions have since been played in ibiza by such DJS as Paul van dyk, Quantica, Hardwell ,Carl Cox. His music has taken him around the world from Ibiza,Spain to Italy, UK ,Germany, Panama and Mexico to some of the best clubs around the planet. Always working on new remixes /original productions and creating his very own original hooks, his music is indeed "original" and unique." It seems music is all that matters for him and EDM is what&apos;s always on his mind. Dj AEK invites you to join him on his musical adventures. Thank You for your support and thanks for listening.